Bright Junior School Makerere is an effort of well qualified Staff with a wide range experience in Educational management and Administration. 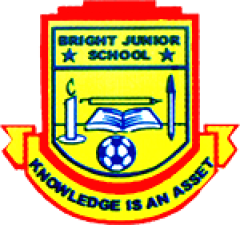 Bright Junior School started in 2004, at Pride Theatre along Namirembe Road. We started with 7 pupils including P.7 Candidates. By the end of that year, the School had grown up to 57 pupils. Since then, the school has grown from strength to strength. Maintaining the highest standard of Academic performance, Self confidence and perfect Discipline. To become a centre for raising creative, all round, God fearing and acceptable citizens for this ever changing and competitive world. Construction of a new and specious swimming pool.